Capricorn One is one of those movies that proves exactly what made the 1970s such a perfect time for genre cinema. 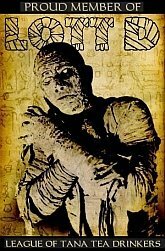 I guess it's not even really a genre film in the strictest sense - more on that in a minute, but for now I'll just say that it's barely a science fiction tale - but it's plotted in that perfect way that allows for maximum lunacy while pretending to be perfectly serious about its ideas. This is a high concept political thriller that almost belongs alongside stuff like The Parallax View and Three Days of the Condor, except for the fact that it almost belongs alongside flicks like Westworld and Soylent Green. Heck, I was introduced to the flick on Monstervision, for cryin' out loud. And there's nary a monster to be found. If you want to understand why Capricorn One lives in a perpetual land of genre grayness, just listen to this plot synopsis. A trio of astronauts - played by James "Amityville Beard" Brolin, Sam "TD Ameritrade" Waterston and OJ "Totally Innocent" Simpson - are set for the first manned mission to Mars. Just before take off, they're whisked away by Hal "My Favorite Actor Possibly" Holbrook (and a jet, Holbrook can't fly like Superman in this) and told that NASA actually plans to fake the landing on Mars and that a nice big TV studio in the middle of a desert will double as Mars. It's a good idea - except for the "good" part - until the three amigos of the stars realize that the story only works if they're dead and can't tell anyone about the interstellar hoax. Oh, and Elliott Gould shows up, playing the same Elliot Gould he always is. He's kind of like Max von Sydow in that you wish he could some how compile all of his characters into one big multi-talented persona that looks like something off of that TV show Dollhouse, except not Eliza Dushku hot. In the case of van Sydow, you realize that there's no way he could be a combination of Jesus, and Exorcist, Ming the Merciless, et al. But in the case of Gould, I'm not sure I'd bat an eyelash. If someone walked up to me and said "Hey The Mike, did you know Elliott Gould is a rich casino owning detective spy reporter?" I'd be like "Yeah, that makes sense." Did I have a point here? Oh, it's that Elliott Gould plays a reporter who wants to go all Woodward and Bernstein and uncover the hoax, which puts him in the mix as kind of the film's non astronaut hero. So yeah, you kind of have to work past the idea that Americans are so dumb that they would believe some well lit screen and a bunch of sand on TV would pass for Mars (is that really so hard to do?) to get in to Capricorn One, but the film never wavers as it presents its goofy ideas. I'm sure I've talked about this before when covering '70s flicks, but it bears repeating. The folks who made movies in this decade were SO GOOD at pulling us in and making us care about something that was utterly ridiculous. Ir's really amazing. I don't know how they did it. Were the people of the '70s that much more naive than those of us who sit around today complaining about all the details? Did they just have a better sense of humor than us? I'm always talking about suspension of disbelief (It's the absolute number one thing you MUST have to love movies, you guys!) but the people of the 1970s....man, they were living it. Capricorn One runs a little over two hours long, but it feels like an epic adventure of grander proportions. There is Gould's All The President's Men-ish quest for the truth, there's the journey through the desert that our three fugitive astronauts must make (I don't want to spoil anything, so I'll just say that Brolin is a ManBeast), and there's the sneaky side of the plot that deals with politicians and bigwigs and Holbrook's fantastic NASA head who is a prototypical "I did it for the country!" big bad. And just when you think they couldn't add anything else to the adventure (or another piece of star power to the cast), TV's Telly Savalas shows up as a cog in the final act that adds plenty of laughs and a dollop of charm to the proceedings. Director Peter Hyams - who would go on to make some genre hits like Outland and Relic (Relic is seriously underrated, you guys!) and End of Days (I'm saying it...this one's underrated too!) - seems to be one of the few directors in Hollywood history that is most willing to amp up the ridiculous when no one expects him to - and the result here is a film that moves at a cracking pace and never loses the viewer for a second. The film is obviously designed to be something of a talking piece about political corruption and how much we trust the media, but Hyams seems to have his tongue in cheek the whole time too. This film has so much fun with its silly premise, and that's a big reason that it's still terribly entertaining today. 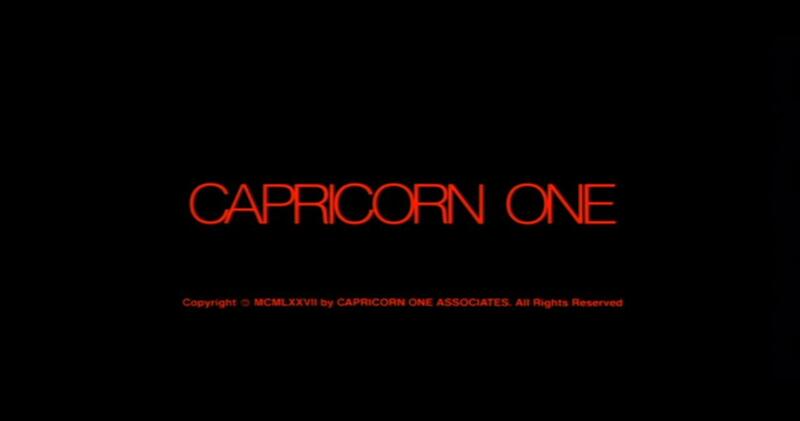 Capricorn One isn't the kind of flick I usually cover here - it's not horror, sci-fi, and there's next to no blood - but it's a perfect example of what popcorn thrillers can be when done right. Somehow, a director managed to put together an A-List cast and make a film about a faked space mission. A film that includes a car speeding out of control through traffic (perhaps one of the most insanely "Wait, did that all just happen so quickly?" moments in film history), some rattlesnake eating, and one of the most bizarre final moments in the history of cinema. And despite how it sounds, it's SO INCREDIBLY GOOD. 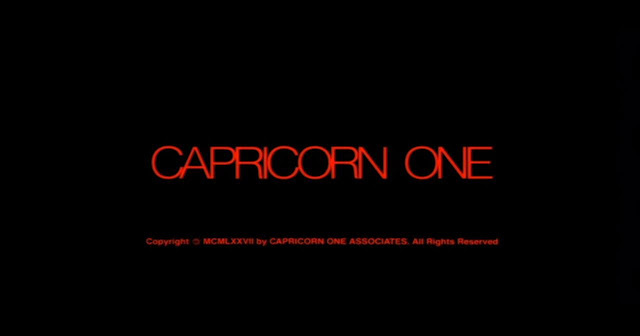 Capricorn One spits in the face of logical Hollywood expectations and manages to become one of the most entertaining films I've ever seen....and it does so in style.